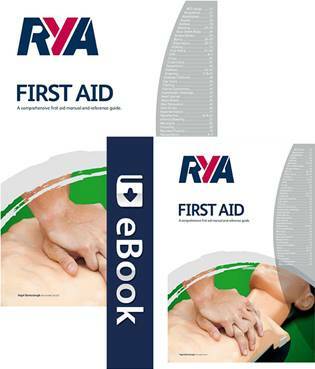 The RYA has launched a new First Aid manual specifically designed for mariners. Written and overseen by medical professionals, it contains all the credible information and advice you would expect from a First Aid book, with content now tailored to boaters. If the worst happens at sea, the medical attention that you administer while waiting for help can save lives. The manual, complemented by the RYA’s First Aid course, is a must for anyone spending a lot of time on the water. It can easily be stowed for reference as part of your medical kit on board, and/or accessed via your phone. The First Aid Manual for Mariners is available from the RYA shop www.rya.org.uk/go/shop as a hard copy, or as a handy eBook. · All RYA eBooks can also be bought directly through the FREE RYA Books App which runs on Windows, OS X, iOS, Android and Kindle Fire devices, however this can limit you to that specific platform. Visit RYA eBooks (www.rya.org.uk/shop/Pages/eBooks.aspx) to find out how to get the app and where you can download tasters of RYA eBooks for free.